Flexrake® introduces Classic - a full line of essential tools reminiscent of gardening's glorious tradition. Modeled after hard-to-find antiques from a time when tools were painstakingly crafted by hand. Classic features quality craftsmanship and details like beautiful oak handles and durable carbon steel blades. Since the 1600's, the most essential of garden tools have remained basically the same, Classic has a complete offering of these traditional tools with handcrafted quality for years of gardening success. 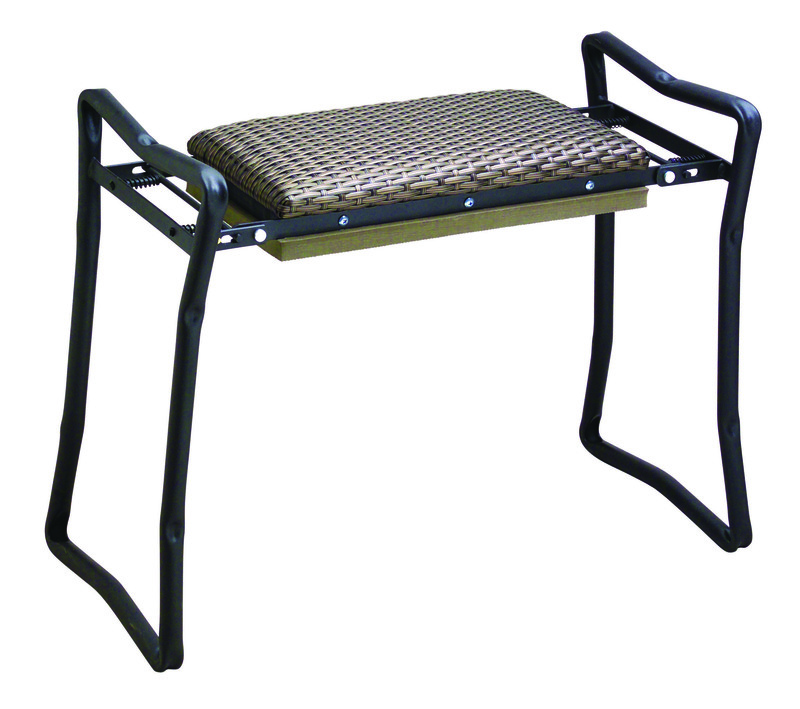 This Classic series tough grade garden kneeler bench is made with high quality steel, a powder coated finish and a durable resin wicker top. This kneeler folds for easy convenient storage. Classic by Flexrake®.....Garden Tools rooted in tradition.